Michelangelo Cerquozzi, the Baroque painter, was born on this day in 1602 in Rome. He was to become famous for his paintings of battles, earning himself the nickname of Michelangelo delle Battaglie - Michelangelo of the Battles. 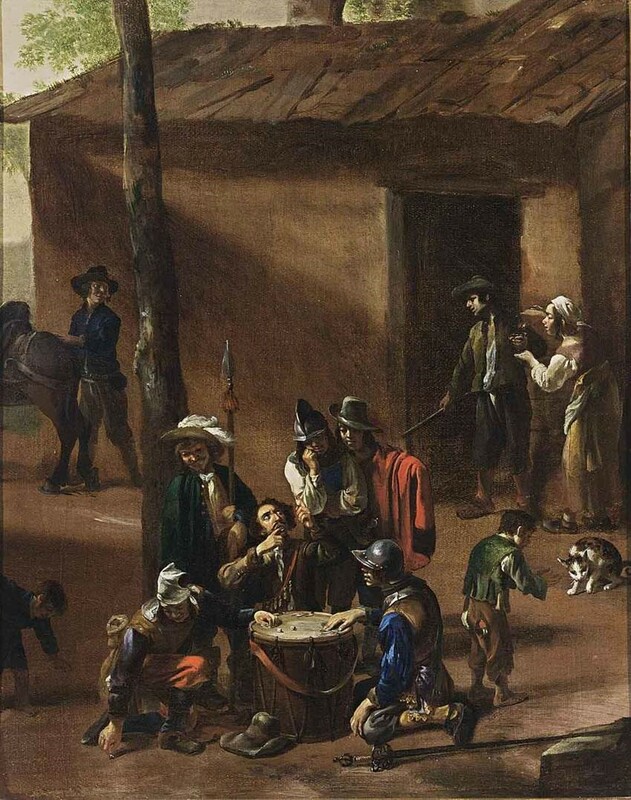 Cerquozzi was born into a well-off family as his father was a successful leather merchant. He started his artistic training at the age of 12 in the studio of Giuseppe Cesari, a history painter, with whom the young Caravaggio trained when he first arrived in Rome. Not much is known about Cerquozzi’s early work, although he is thought to have been influenced by the Flemish and Dutch artists active in Rome at the time. As well as battles, Cerquozzi painted small, religious and mythological works and some still life scenes. Cerquozzi joined the Accademia di San Luca in 1634 and, although he did not follow their strict rules, he started gradually gaining recognition for his work. He secured commissions from prominent Roman patrons, including representatives of the Barberini and Colonna families. His only public commission in Rome was for a lunette depicting the Miracle of Saint Francis of Paolo in the cloister of the Church of Sant’Andrea delle Fratte, which has sadly been lost. He is also believed to have painted altarpieces for some churches in Sardinia. The nickname Michelangelo delle Battaglie came from his paintings of battle scenes. He was considered to be one of the best of the Bamboccianti, the name given to the painters active in Rome in the 17th century. Many of them painted contemporary scenes featuring workers and soldiers, in action, in play and at rest. A good example of this is Cerquozzi’s painting of Soldiers Playing Dice, painted in the 1630s and now in a private collection. Despite featuring lower class subjects, many of his paintings went on to sell for high prices to collectors. His battle paintings were on small canvases and often provided a close up viewpoint of cavalry scenes showing the horses and men on the move. One example is a work, simply titled Scena di battaglia – Battle Scene – which is housed at the Galleria Megna, in Via del Babuino in Rome. 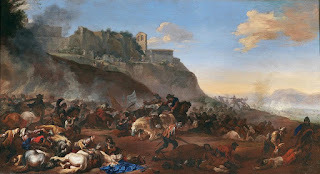 Cerquozzi collaborated with the painter Viviano Codazzi in 1648 on a canvas depicting the Revolt of Masaniello, which is currently at the Galleria Spada in Rome. 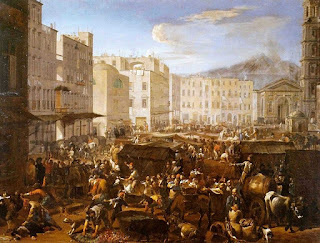 The painting shows the anti-Spanish rebellion of 1647 in the Piazza del Mercato in Naples with the leader, Masaniello, on a horse in the middle of the picture. Cerquozzi never married and remained childless. He died, a wealthy man, in 1660 in his house near the Spanish Steps in Rome. Cerquozzi lived near Piazza di Spagna in Rome for most of his adult life. 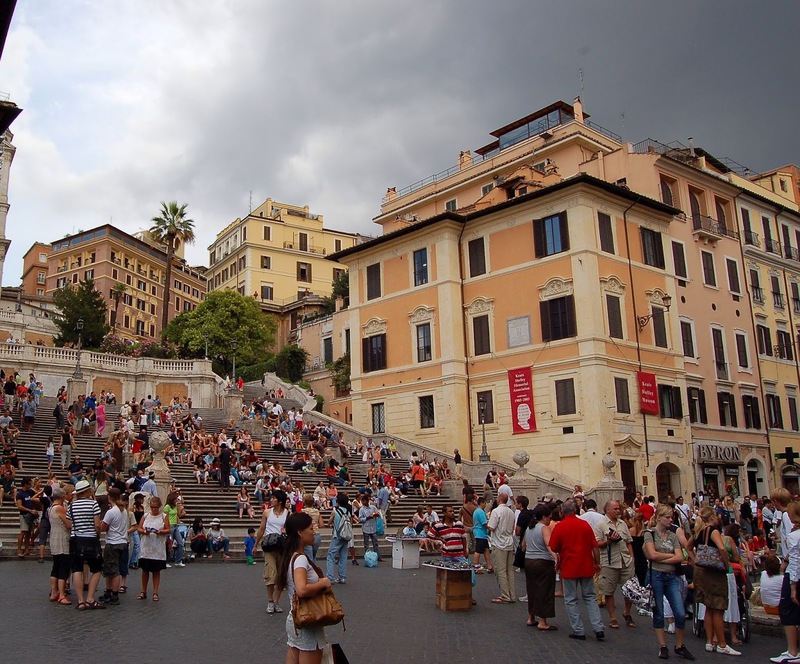 Piazza di Spagna gets its name from the Spanish Embassy to the Holy See which has been there since the 17th century. 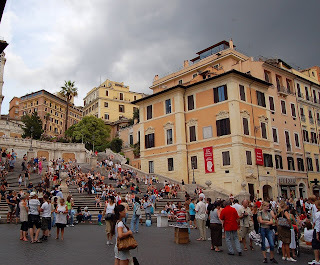 More than a century after Cerquozzi’s death the area at the foot of the Spanish Steps became popular with English aristocrats on the Grand Tour who stayed there while in Rome. In 1820, the English poet John Keats spent the last few months of his life in a small room overlooking the Spanish Steps and died there of consumption in February 1821, aged just 25. The house is now a museum and library dedicated to the Romantic poets. Piazza del Mercato in Naples, where Cerquozzi depicted Masaniello leading the anti-Spanish rebellion, has long been the focal point of commercial life in the city due to its location not far from the port. 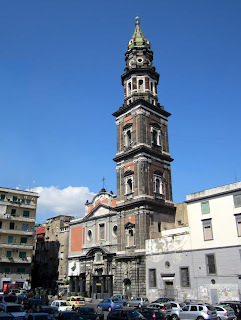 Overlooked by the Church of Santa Maria del Carmine, it was the setting for the execution of Eleonora Fonseca Pimentel and her fellow revolutionaries in 1799. 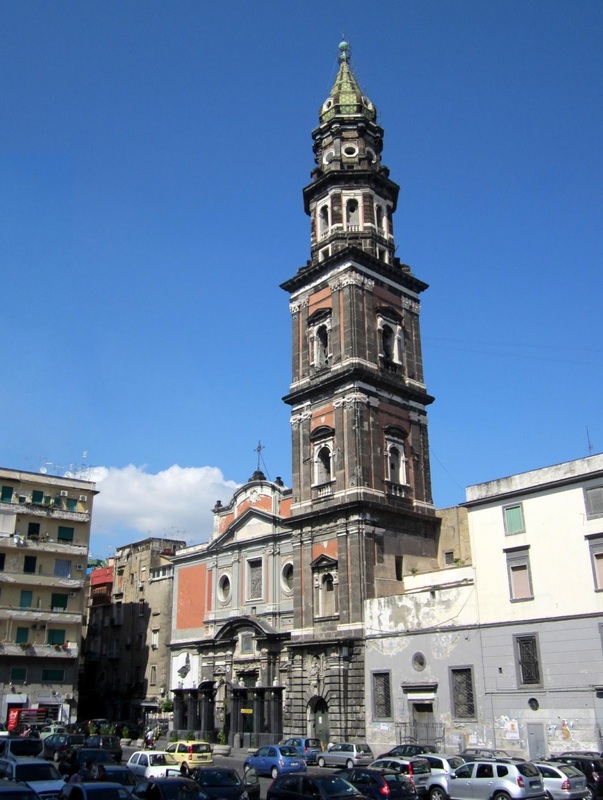 It was also the location for the beheading in 1268 of Corradino, a 16-year-old King of Naples.